It’s been a year since The 9 Best Stocks to Buy on the Dip appeared on InvestorPlace. The article recommended nine stocks that were down 20% or more through the first ten months of 2017. That wasn’t an easy task given the S&P 500 was having one of its best performances in a decade. One year later, the index isn’t performing nearly as well, up just 3.5% (total return) through Nov. 2, which should make the act of picking stocks to buy on the dip a little easier. Note: Envision Healthcare was acquired in October 2018 for $46 per share, a 32% premium to its price on Nov. 1, 2017. My stock picks from last year’s edition were eligible for selection if they were down 20% year-to-date. I will use that same percentage for this year’s picks; the only caveat being that to qualify they must have delivered a total return in 2017 of 10% or higher. Here are my 2018 stocks to buy on the dip. The fact is, Mohawk stock was bound to hit a wall after nine straight years in positive territory, a period in which it generated an annualized total return of 37.6% for shareholders. I’d lost track of this beautiful stock, but now that it’s lost half its value over the past ten months due in part to higher input costs and lower profitability, I’ll be sure to keep a closer eye on its business. It might be down, but it’s not out. 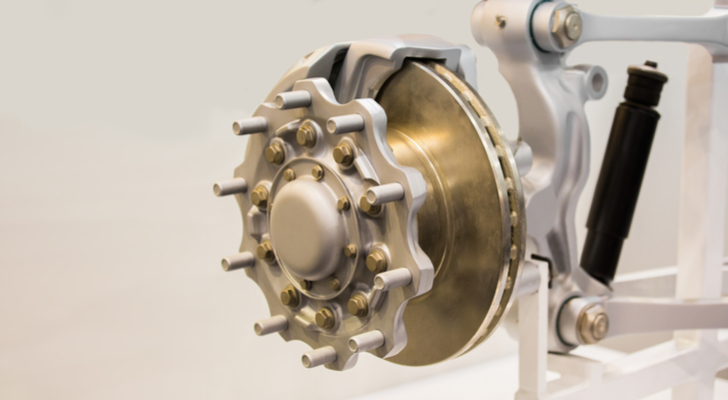 It’s been a while since I’ve recommended Wabco Holdings (NYSE:WBC), a company that specializes in brake systems and parts for both commercial trucks and passenger vehicles. Back in 2014, I made it one of five mid-cap stocks to buy to outperform their bigger rivals. At the time, Wabco’s stock wasn’t performing well, but I felt it would deliver for shareholders over the long term. From Sept. 4, 2014, the day I recommended it, to its all-time high of $162.20 that it hit in January, it was up 61% before sliding back over the next nine months. WBC stock now trades at the same level it did in January 2017, 22 months ago. While its gross and operating profit margins aren’t quite as high as they were back in 2014, it still managed to grow its revenues and operating profits in the third quarter by low double digits. If not for China, Wabco’s business would be looking a lot brighter. As it stands, it expects to make as much as $7.40 a share in fiscal 2018 on 14-16% revenue growth. Trading 23% lower than where it started in 2018, I like Wabco’s chances in 2019. Polaris (NYSE:PII) reported third-quarter 2018 earnings Oct. 22 that beat analyst expectations on both the top and bottom line. Revenues came in at $1.65 billion, $10 million higher than the consensus estimate, while its adjusted earnings per share of $1.86 were 29 cents higher than analyst expectations. Yet its stock is down 23% year to date. What gives? Like a lot of companies that source from China, the ongoing tariff war and its potential cost to the bottom line is causing a lot of investor anxiety — and that’s only natural. However, it’s a problem that’s not unique to Polaris. What President Donald Trump gave through tax cuts, he partially took away through higher input costs. How businesses react to this situation dictates who are more successful in the long term. Rather than focus on tariffs, I’m more concerned about the company’s ability to handle its competition. I live in Canada, and BRP Inc. (OTCMKTS:BRPIF) is doing big things in the U.S. when it comes to the ATV and SSV market. 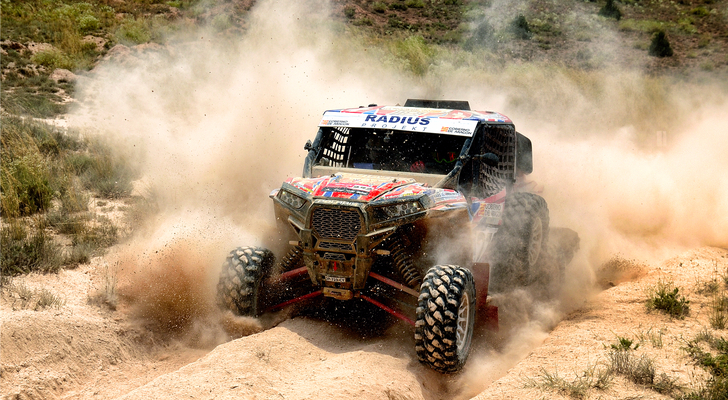 To counter the competitive threats Polaris faces, it’s branching out into new areas of the recreational vehicle marketplace. In May, it acquired Boat Holdings LLC, a company that specializes in pontoon boats, one of the fastest growing segments on water. Polaris is the leader in powersports; the purchase of Boat Holdings drives home that point. Long-term, you’ll be a winner owning PII stock. In late July, I called Skechers (NYSE:SKX) a downtrodden stock to buy, arguing that the company was financially very sound both regarding its balance sheet and profits and losses. 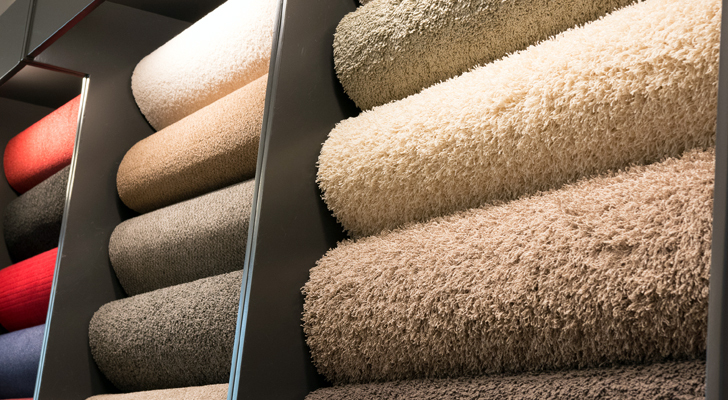 Lo and behold it reported Q3 2018 earnings results Oct. 18 that were better than expected. Its stock is up 15% since then, a sign it’s on the mend, and headed back toward the $40s where it traded earlier this year. Based on the news from October, which included Q4 earnings guidance that was better than analyst expectations, it suggests SKX is a buy at current prices, which are down almost 30% since its April highs. Has Copa Holdings (NYSE:CPA) stock bottomed? The Panama-based Latin American airline hit its 52-week low of $67.38 on Oct. 29. Since then, it’s regained 16.4% of its value through Nov. 5. The airline announces its third-quarter results Nov. 14 after the close of markets. Perhaps investors sense that its business is strengthening. Copa’s monthly traffic stats for September were a mixed bag. While both its available seat miles (ASM) and revenue passenger miles (RPM) increased by 10.8% and 6.5%, respectively, the airline’s load factor, which represents the percentage of aircraft seating used in the month, decreased by 330 basis points from last year to 80.8%. What this means is that the airline increased its capacity by 10.8%. So, if 5,000 seats were available in September 2017, 5,500 were available in September 2018. 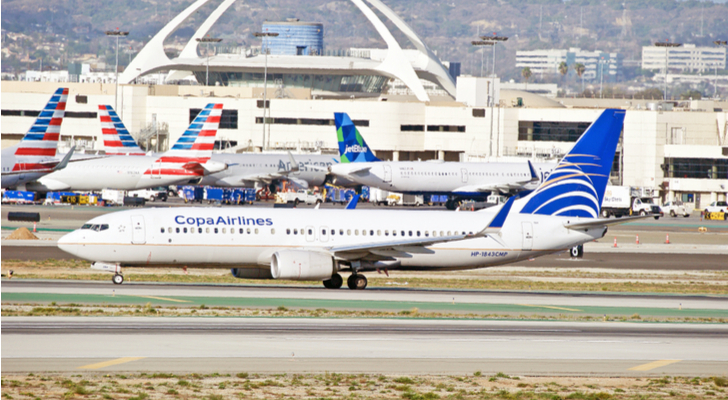 Therefore, even though Copa’s load factor went down 330 basis points in September 2018, the number of seats occupied would have gone up by 239 people, an increase of 5.6%. Copa’s been one of my favorite stocks trading on the NYSE for many years. Unfortunately, it is based in Latin America, which makes it more susceptible to currency, economic and political risks, not faced by airlines here in the U.S. Under $100, you’re getting growth at a reasonable price. Under $70, you’re getting absolute value. It’s only natural that United Rentals (NYSE:URI), a company that specializes in renting equipment to businesses and homeowners for construction-related projects, does well in a hot economy. 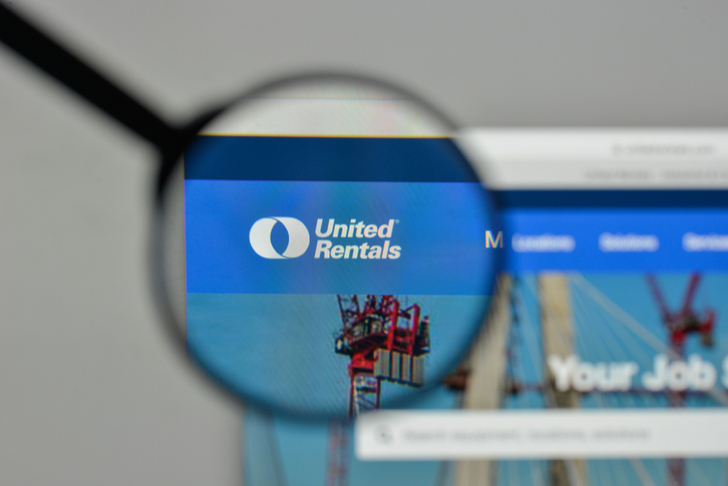 In October, United Rentals raised its guidance for fiscal 2018, to as much as $7.87 billion in revenue for the year, up from $7.84 billion in its previous outlook. Meanwhile, on the bottom line, its adjusted EBITDA is expected to be as high as $3.82 billion, 21% higher than in 2017. To keep the business growing, URI acquired BlueLine Rental in September for $2.1 billion. The move strengthens the company’s position in major cities across North America. BlueLine is one of the ten largest equipment rental businesses in North America. BlueLine generated $786 million in revenue in the 12 months ended Aug. 31 with $313 million in adjusted EBITDA. Down more than 25% year-to-date and the economy still strong, buying on the dip makes a lot of sense at current prices. 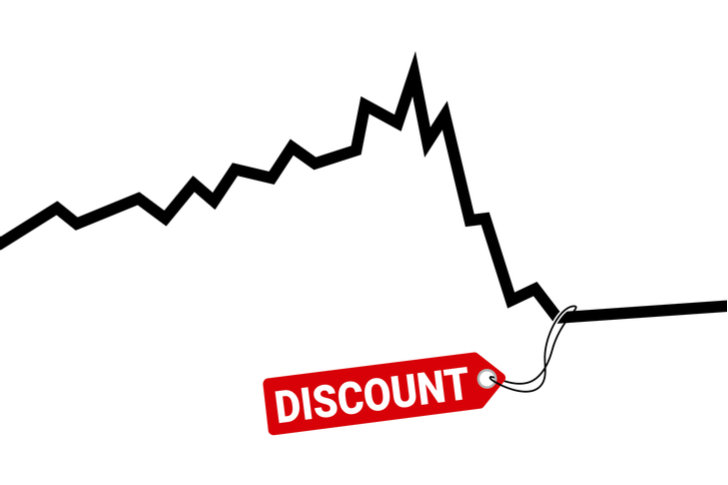 The news Carl Icahn is sniffing around DollarTree (NASDAQ:DLTR) lit a fire under the discount store’s stock price in mid-October, sending it into the mid-$80s for the first time since September. Ironically, Icahn made as much as $200 million from Family Dollar back in 2015, by convincing DollarTree that it should buy the third-largest dollar-store chain in America for a whopping $8.5 billion. Now, as DollarTree’s own stores are growing same-store sales while Family Dollar’s are flatlining, Icahn looks to be profiting from the situation once more. Analysts suggest that if Family Dollar were spun-off from DollarTree, it could be worth as much as $6.2 billion on its own. As it stands now, investors are valuing Family Dollar at almost zero, something I’m sure Icahn realizes. I wouldn’t be surprised if Icahn calls for DollarTree to sell or spin-off Family Dollar before the end of 2018. 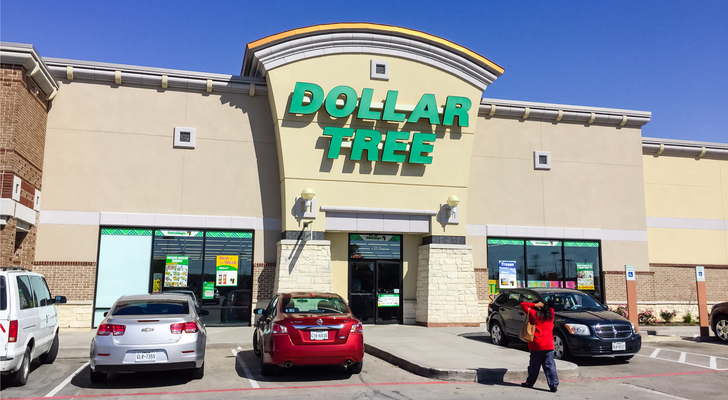 Long-term, DollarTree still has a lot of growth potential in both the U.S. and Canada, although the $1 price-ceiling it imposes on retail prices could hurt its business if Chinese tariffs remain in place for an extended period. The potential spinoff outweighs the China issues in my opinion. If Icahn’s buying, you should too. 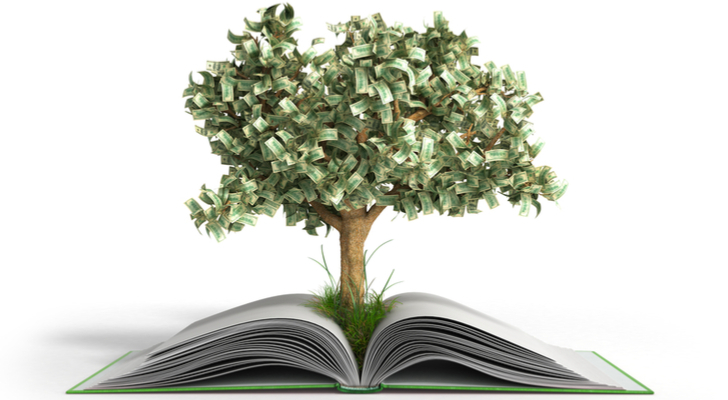 If you bought $5,000 of LendingTree (NASDAQ:TREE) stock at the end of 2016 and sold one year later, you would have had an $11,800 profit. That’s how good a year it had on the markets. Fast forward to 2018. The online platform that helps people find loans is going through a significant slump experiencing three major corrections of more than 10% so far this year. Is another one in the cards? Not if its earnings have anything to do with it. LendingTree’s stock popped Nov. 1 after announcing solid Q3 2018 earnings. Revenues were up 15% to $197.1 million while adjusted net income jumped 64% year-over-year to $1.92 a share, a company record. Business is so good, it raised its guidance for the year, with revenues and adjusted EBITDA expected to be as high as $775 million and $155 million, respectively. CEO Doug Lebda, who I believe is one of the best chief executives in the U.S., has delivered more than 3,000% in cumulative returns since March 2010, putting him in rare company over the past eight years. I wouldn’t be surprised TREE stock revisited its 52-week high of $404.40 sometime in 2019. Of the nine stocks I’ve recommended, Universal Display (NASDAQ:OLED) is the most difficult to evaluate. Although its business is still growing, analysts are expecting much more from the company. So, anytime the holder of more than 4,800 patents issued and pending regarding state-of-the-art organic light emitting diode (OLED) technologies, misses estimates, investors get worried about Apple (NASDAQ:AAPL) following through on plans to develop MicroLED technology for its Apple Watch. That’s not the scary part. 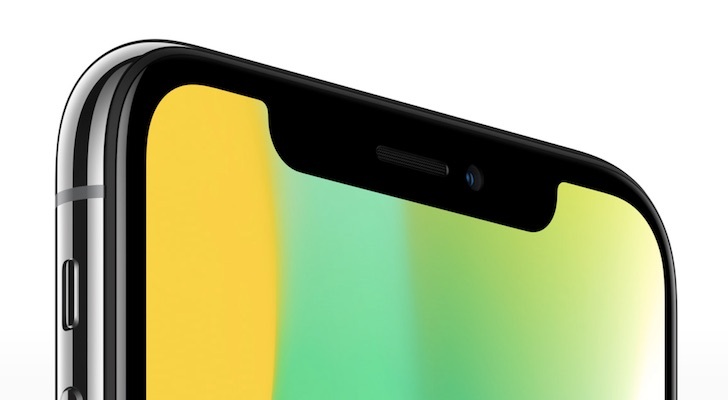 The scarier scenario is if and when Apple rolls out MicroLED technology for its iPhones. That, in the eyes of many, would make OLED technology redundant. I don’t see Universal Display disappearing from the technology landscape quite so fast. Off almost 50% year to date, sub-$100 is a good entry point for anyone looking to buy on the dip. However, you’ll want to be prepared for more than a little volatility in the coming year. Article printed from InvestorPlace Media, https://investorplace.com/2018/11/the-9-best-stocks-to-buy-on-the-dip-2018-edition/.